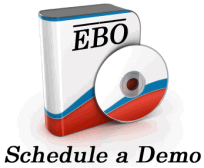 The Equitable Business Opportunity Solution (EBO) Outreach Manager provides Agencies and Contractors with the tools to contact and/or solicit Firms to participate on contracts. When Primes contact D/M/WBE subcontractors to participate on a Contract, the solicitation will be logged to their Good Faith efforts. Outreach/Solicitations are sent via email to the targeted firms. With the Outreach Manager, Firms can be targeted by any combination of Industry, Gender, D/M/WBE program status. Solicitations and the target criteria are saved for future use. For a complete Features/Functions guide, contact IGS.